For a graphic designer, the most challenging part is applying colors. It is important for a designer to make use of a striking color scheme. This can be incredibly difficult in case you fail to understand the essence of factors such as which colors look good together or how to create a warm look etc. These are the basic parameters that you need to consider when starting a design. 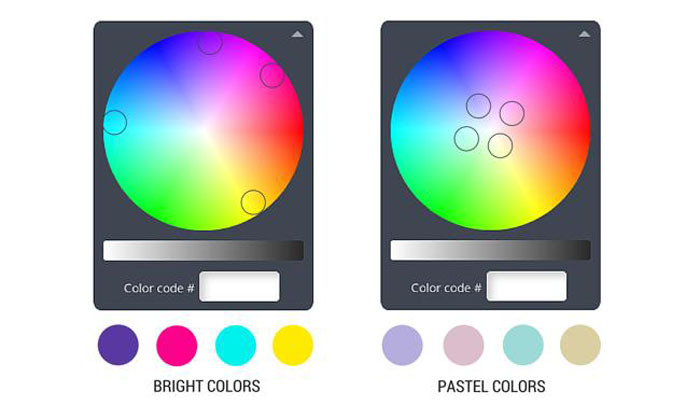 In case, you are looking forward to understand the color scheme, here is a brief guide that you should follow to make use of colors effectively. This newly found skill is going to count well when you create graphics or images for your blogs or social media pages. 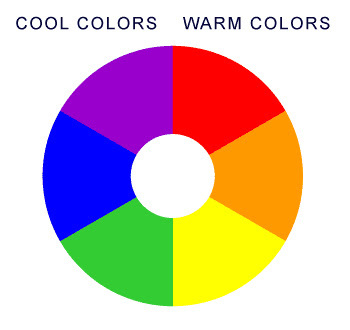 The color wheel is a crucial attribute in the process of designing. You can use varied colors and create an ingenious look. There are two things that you need to consider: how to choose the right color out of the palette and how to identify the suitable colors. The wheel has 6 basic colors (red, orange, yellow, green, blue and purple) that look tasteful together. There are also some mixes of the basic hues available in the wheel. Choosing colors from the wheel is something easy. You can select the bright colors from the area towards the outside portion of the wheel. These are intense and vibrant in tone. For the colors that are soft and neutral in tone, such as the pastels, you will need to navigate towards the middle of the wheel. Each of the color is identified using a unique six digit hexagonal code. When you select a color from the wheel, the color code appears at the bottom. This code is utterly helpful in identifying the color. For instance, when you want to reuse a color, you can do that by simply using the code rather than picking the color from the wheel. You can make changes in the intensity of colors while using a tool called brightness slider. 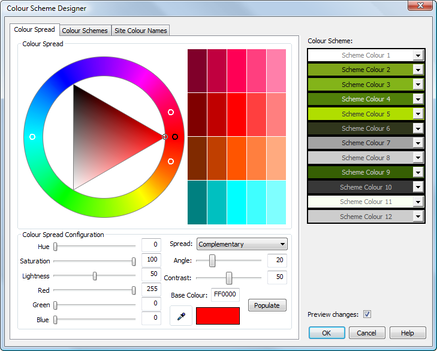 This tool lets that you moderate a particular color to the brighter or darker tones. You will need to slide the slider towards the left to shift the color to lighter tone and to the right for darker tones. Colors have their own way when amalgamating with others. While some colors manage to mix up well, some just fail to do so. Hence, to identify the right combination, you will have to understand the color relationships. You can determine the same using the position of hues over the wheel. Here are the three color relationships that you need to be familiar with. Monochromatic colors: This palette includes dark, medium, and light versions of a single hue. Analogous colors: This palette consists of colors that follow low contrast harmony and are located next to each other over the color wheel. Complementary colors: This palette includes colors that are located on opposite sides of the color wheel and are in contrast to each other. You all must have heard of the warm and cool colors. However, not all know what colors come under each of the categories. The warm tones are found on the right and include hues such as reds, oranges, and yellows. In case, you are creating something that should depict energy and emotions then warm shades are going to help you a lot. On the other hand, cool colors are available to the left and vary from blues and greens to pinks and purples. These are considered soothing and relaxing in nature. Your palette should not be overloaded with colors instead you should create something that ihas limited yet experimental colors. Start by choosing a single color that is vibrant and manages to highlight the entire design. The color needs to be relevant to the theme you are demonstrating. For a design that soothes your eyes, you will need to make sure that the text color matches the background image. The color could be matched using the color picker tool. Never restrict the usage of color palette till the background and text. Instead, you should utilize the color palette in the background everywhere including the font, font holders, pictures, tags and much more.